Planet Hollywood Corporate Office in Orlando FL is an organisation that deals in various business that include Restaurant and Bars, Hotels and Casinos, Group Services, Tours and Travels etc. It was established in the year of 1991 by Robert Earl. Presently it is run by him along with partners and stockholders Sylvester Stalone and Bruce Willis who have been with this business firm from it started the journey. There are currently 0 consumer reviews about Planet Hollywood available. Share your review. 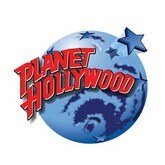 Please take a note that you are about to post a public review about Planet Hollywood corporate office on CorporateOffice.com. This review will be public, so please do not post any of your personal information on this website. If you would like to contact the corporate offices of Planet Hollywood, please use their contact information such as their phone number, website, and address listed above to contact them. However, sometimes staff from Planet Hollywood headquarters do read the reviews on this website.